The guys have collaborated many times together but this will be the first time the two have embarked on such a massive project that takes in over 8 tracks across 40 mins of mix. Play it Down will be releasing a number of tracks free on various sites online and then keep the massive highlights for release on vinyls in April. Why? because as Oli puts it 'we love making tracks & we love people to hear them'. 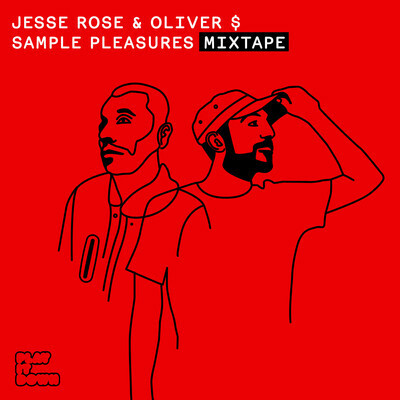 Jesse say's 'I've been really into all the Hip-Hop Mixtapes coming out in America and felt it was time to give house fans the same love back'. First up on download is 'Come With Me'. DUBS FOR CLUBS PART 2: 'Deeper'. This track has been part of every club set Jack Beats have played since back in 2009, when it originally started life as a remix for drum and bass legend TC, for his track "Deep". Never finishing the mix they ended up turning it into an original production a while back, and now deciding to give it away for free, freshly finished off and brought up to date. Enjoyed that then grab Part 1 from Dubs For Clubs 'Make The People' below.